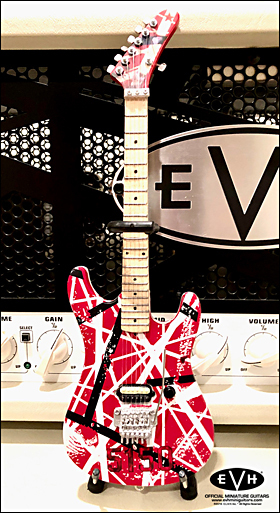 * Another very iconic striped guitar that is instantly recognizable by its namesake - the 5150 space tape numbers that it is adorned with! 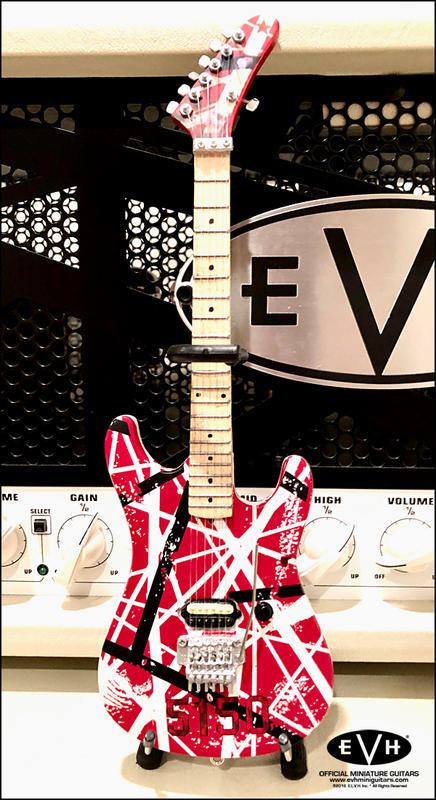 * 5150 is a widely used police code for an escaped mental patient and is also the name of Eddie's home recording studio and Van Halens 7th album. 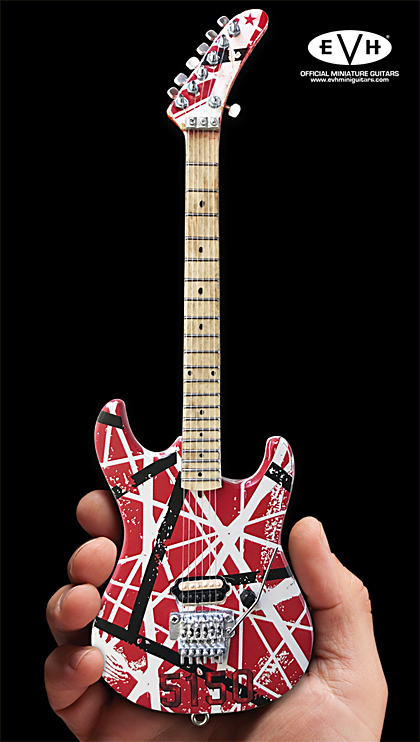 * Body on original guitar was made from light weight basswood and neck made from hard rock maple. 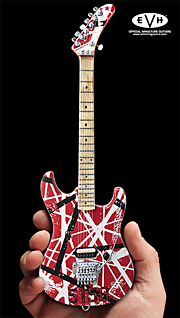 * 7th tuner added after headstock split. 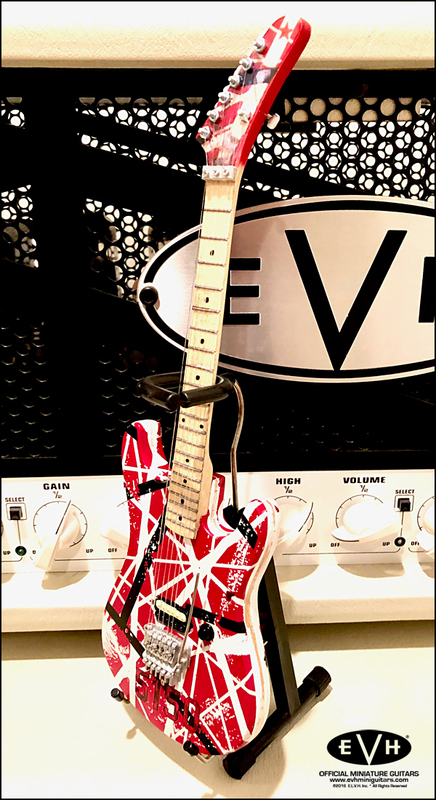 * This guitar was used for recording and touring from 1984 until 2004. * At one point early on, it had an experimental prototype wooden, and then later plexiglass, tray table attached to the back so it could be played upright like a piano which Ed received a US Patent. 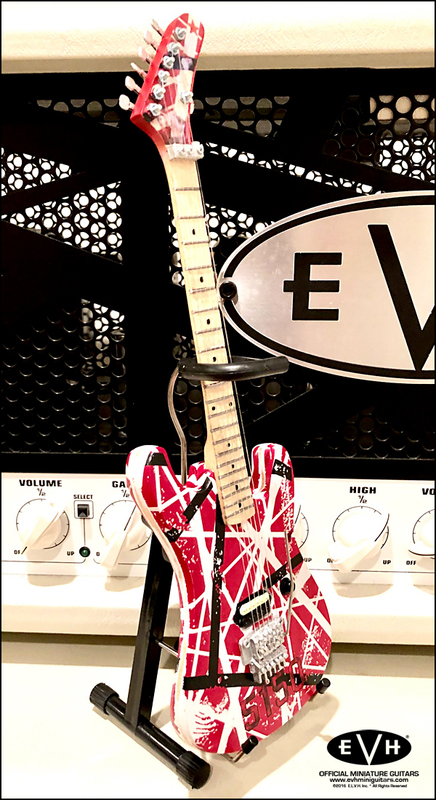 * One of the most copied guitars of Van Halen's arsenal, with the EVH brand recently releasing an accurate rendition of this model in the Striped Series.